– World 1,500 champion Elijah Manangoi talking about making the drastic decision to transition from the 400 straight up to the 1,500. In 2013, Manangoi was 4th in the 400 at the Kenyan national champs, but by the next year he made the Kenyan Commonwealth Games team in only his third 1,500 race ever. Gwen Jorgensen Quitting Tri, Going Full Time Marathon. Best State to live in if you can't afford California?????? FSU Bans ALL Fraternities and Sororities!!!! It's pretty obvious. The NYC Marathon needs to start it's race in Central Park. LRC LetsRun.com Running Warehouse NYC Marathon Prediction Contest There is this big marathon in New York on Sunday. Make it even more interesting. 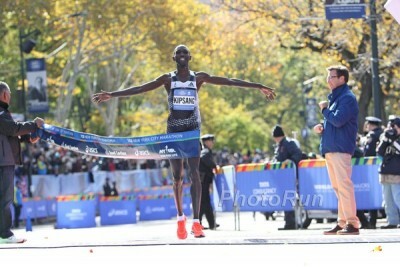 Can Wilson Kipsang Go From DNF In Berlin To NYC Win? Kipsang will look for some redemption to make up for the disappointments he faced in Berlin and with his political ambitions for 2017. Interesting Read: Discover The History Of The NYC Marathon The inaugural NYC Marathon had only 127 registrants with only 55 finishing. NY Times: How Climate Change Affects The Marathon This NY Times piece claims that temperatures in the 60s make the average person run 12 minutes slower than when it’s in the 40s and that asks if the Montreal Marathon will be the world’s most prestigious by 2050 due to climate change. ESPN: Meb Keflezighi’s Marathon Career By The Numbers Meb’s gone through an estimated 285 pairs of running shoes since going pro. Edna Kiplagat Says Her Preparations Have Gone Well Ahead Of Her Third Marathon Of 2017 Busy year for Kiplagat, who won Boston, was 2nd at Worlds and now is racing NYC. 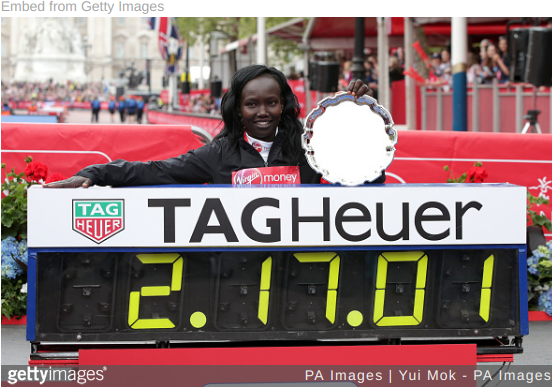 From London: Can Anyone Stop Mary Keitany From Winning A Fourth NYC Title? LRC Week That Was Taper Edition: Brit Goes Sub-2:10, Sara Hall PRs, Conference XC Winners And Losers, And Justyn Knight Fan Boys Mo Farah We get you up to speed on the running world. 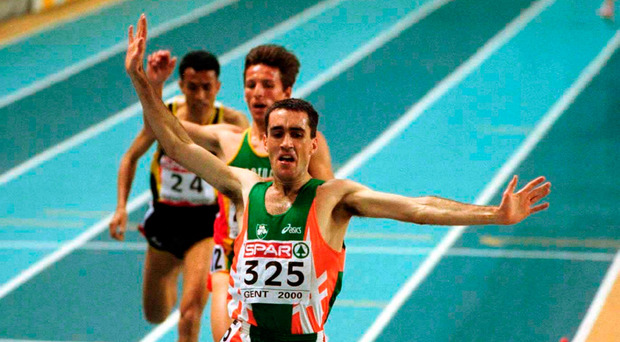 Irishman Gary O’Hanlon Awarded Irish National Marathon Title Three Days After Race Turns out the Kenyan, Freddy Sittuk, who was initially awarded the title because he runs for an Irish club, didn’t meet the residency eligibility requirements. 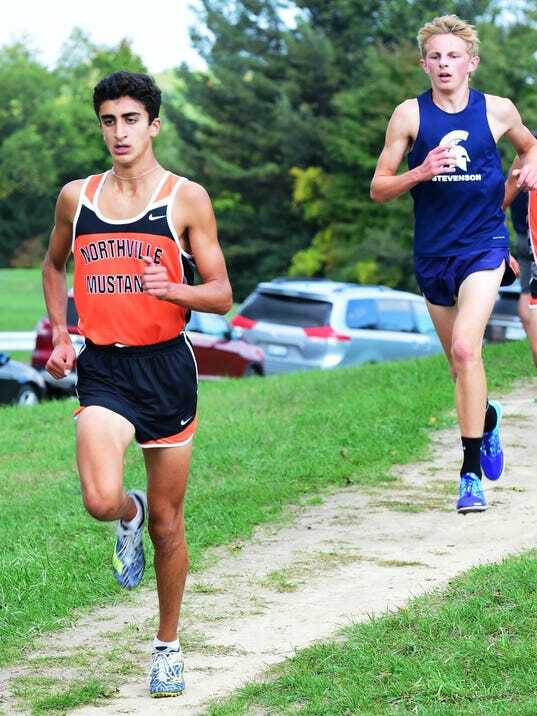 A Michigan High School Team Denied A Trip To The State Meet For Uniform Violation Northville HS was DQed for wearing different color sleeves under their uniforms. *Top Runner Reinstated For States After Appeal, But Team Remains DQed Two others were also reinstated since they wore no shirt under their uniform, but three was not enough for a team score. *MileSplit Article / Discussion Video The team appealed on the grounds that officials are supposed to give a formal warning to a team before DQing and here they didn’t. 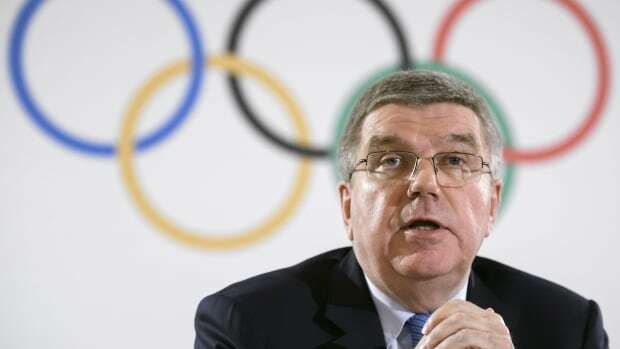 UK Athletics Considering Third Gender Plan This is not at all realistic at the pro track level, but apparently Scotland’s tried it out in some mass road races. 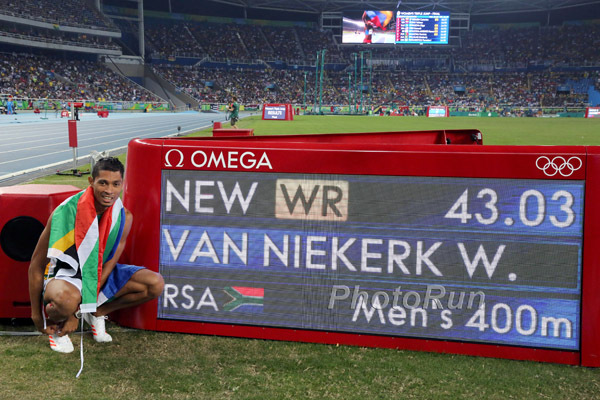 MB: Wayde van Niekerk ACL TEAR! Tears ACL In Celebrity Tag Rugby Game! Van Niekerk injured himself in a touch rugby game for celebrities on Oct 7. He didn’t realize the severity of the injury until later but has put his honeymoon on hold to have surgery in the US today. He’ll be out 6-9 months. Wayde van Niekerk Ties The Knot He and his fiancee Chesney Campbell were engaged last December and married this past weekend. Major Change Coming In 2019? Sunday: IAAF Preview: Yuki Kawauchi To Make French Debut At Marathon Des Alpes Maritimes He’ll face Kenya’s Alfred Kering (2:07:10 PR from 2010) while Ethiopia’s Tigist Shetu (2:34:37) and 19-year-old Meseret Gola Sisay (2:35:08) lead the women’s race. Sunday: Four Sub-2:10 Men Will Chase The 2:11 CR At The Hangzhou Marathon In China Loice Kiptoo (2:28:39) leads the women’s pursuit of the 2:31 CR. 10 Days To Go Until The Start Of The 2017/2018 IAAF XC Permit Series The series kicks off with the Cross de Atapuerca XC meet in Spain on November 12. 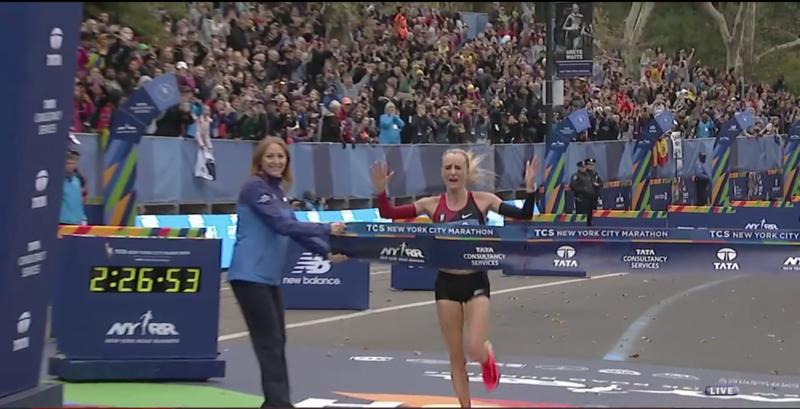 LRC Women’s Preview: Mary Keitany Goes For Four Straight Against Edna Kiplagat & Shalane Flanagan Who are the leading ladies for Sunday’s NYC Marathon? Find out here. LRC International Men’s Preview: Ghebreslassie Guns For Repeat, Kipsang Tries To Bounce Back, & Kamworor Returns To The Marathon Which of the following 5 men will win NY on Sunday – Wilson Kipsang, Ghirmay Ghebreslassie, Lelisa Desisa, Lemi Berhanu, or Geoffrey Kamworor? 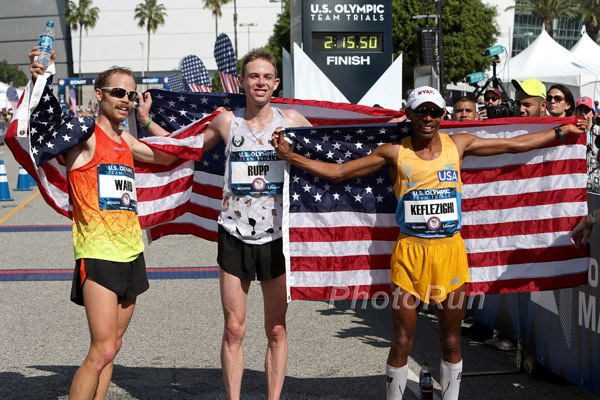 LRC U.S. Men’s Preview: Can Meb Close Out His Career As The Top American? Or Will Jared Ward, Abdi Abdirahman Or Shadrack Biwott Stop Him? 4 real high quality American men that will battle in NY this weekend – past champ Meb Kefelzighi, Olympic sixth placer Jared Ward, the ageless Abdi Abdirahman, and Shadrack Biwott, who has been top 5 in his last 2 majors. *MB: Who will be the top American man at 2017 NYC Marathon? Meb, Abdi, Jared, or Shadrack? 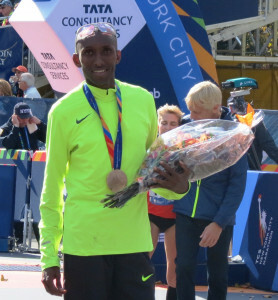 Recommended Read: RW: “Capping A Legendary Career, Meb Keflezighi And His Team Prepare For A NYC Curtain Call” A very nice profile on Meb’s dedication with great quotes from him, coach Bob Larsen and his wife Yordanos. November 19: World Marathon Champ Geoffrey Kirui And World 10,000 Record Holder Almaz Ayana Headline At The Delhi Half Ayana is making her debut and facing defending champ Worknesh Degefa (66:14). On the men’s side, there are three sub-58 men in Jorum Okumbo (58:48), Alex Korio (58:51) and Stephen Kibet (58:54) as well as USA’s Leonard Korir. Sunday: Yuki Kawauchi Headlines Marathon Des Alpes-Maritimes Nice-Cannes In France Kawauchi hopes to join the group of just six Japanese men in history to win a marathon outside Japan in sub-2:10. Q&A With Former Olympic Champ Dwight Phillips About How He’s Gone From LJ Legend To Aspiring Photographer Phillips started landscape photography as a hobby, but now focuses on sports photos and incorporates it with his coaching. Kazakhstan’s 2012 Olympic Champ Olga Rypakova Talks About How She Made The Switch To The TJ After Starting In The Heptathlon Early In Her Career She was actually the world U20 heptathlon silver medalist back in 2002 and actually started with LJ when she transition to a single event. However, winning a national title in only her second TJ competition changed her mind. 19-Year-Old Indian Javelin Thrower Neeraj Chopra Gets Gatorade Sponsorship Deal Chopra holds the javelin junior world record. *Good Read: NY Times: Meb Keflezighi Reveals His Secret Is His Mom’s Himbasha All Meb’s family are in town to celebrate his final marathon. *Industry News: NY Times: The Running Bubble Has Popped, But They Haven’t Heard It In NYC Participation in many races throughout the country has declined and road races are starting to see people resist the inflated prices. 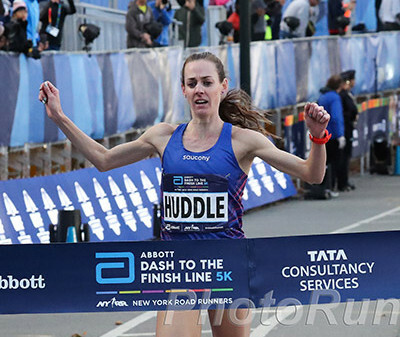 LRC Paul Chelimo Aiming For World Indoor 3k Gold, Brenda Martinez Done With The 800, Ben True Has A New Coach – Abbott Dash To The Finish Line USATF 5k Notes News and video interviews with Paul Chelimo, Molly Huddle, Ben True, Brenda Martinez, Hassan Mead, Leonard Korir and Desi Linden in advance of Saturday’s USATF 5k champs in NY. January 27: Usain Bolt To Host 2018 Sun Met Horse Race In South Africa The Sun Met is an iconic horse race with a history dating back to 1883. South African Prosecutors Call Oscar Pistorius Sentence “Shockingly Lenient” As They Continue To Seek Appeal Pistorius got 6 years for murder when the minimum sentence is usually 15. World Champs Yulima Rojas (TJ), Mutaz Essa Barshim (HJ) And Trinidad And Tobago’s Men’s 4 X 400 Win EOY Awards Rojas and the Trinidad 4 x 400 won best athletes from the Americas while Barshim won best male athletes from Asia. 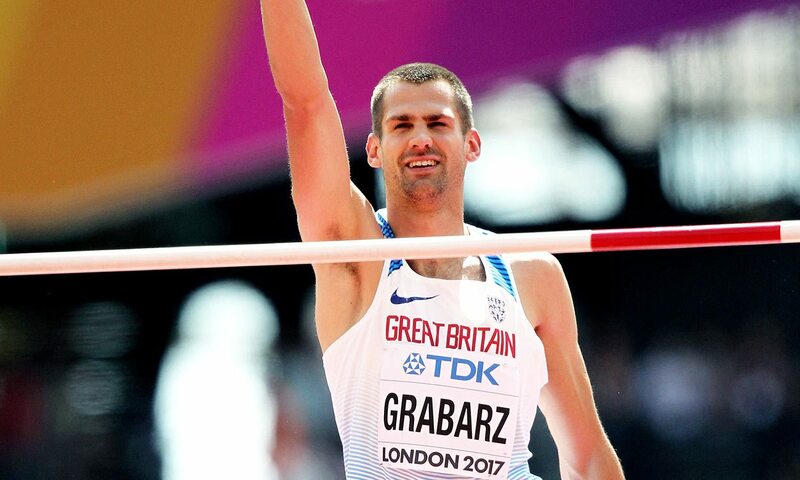 Vote In Athletics Weekly’s Readers’ Choice Awards Pick the top international, British and junior athletes of the year.